I have been trying to blog consistently, 5 days per week, Monday thru Friday. It is getting a little difficult to make that happen time wise. I am spending too much time in the evening trying to get my post ready for the next day. If you have been following along, you know that I am trying to go to bed earlier and this schedule isn't working for me! I don't want to give up blogging. I am enjoying it so much! It is keeping me accountable and I am making new friends along the way. This is something I want to continue for a very long time. So I had to make some decisions! I have decided that I am going to consistently blog 3 days per week. Every week you will see these three posts up. The menu plan keeps me accountable and I enjoy the people I have met doing this link up. WIAW, I enjoy doing this food post, as well as, looking at what everyone else is eating. Of course, How the Jeans Fit Friday is a must to keep me accountable and for you all to see how I am doing! This leaves Tuesday and Thursday. These posts lately are a combination of diet information and family/random stuff. I have decided that for a few weeks, you may not see a post on these days at all. Or, you may see something really small. Have I found a good tip for the diet, a food that I am loving, book review, some family pictures, etc. Small and to the point posts or nothing at all. *Spend more time with my husband in the evening! *Get blog posts done and scheduled ahead for Tuesdays and Thursdays so that I am not putting together every post the night before! Some of my posts have to be done the night before, but informative posts, recipes, etc. can all be done ahead of time. This will give me more time during the week for some other things! 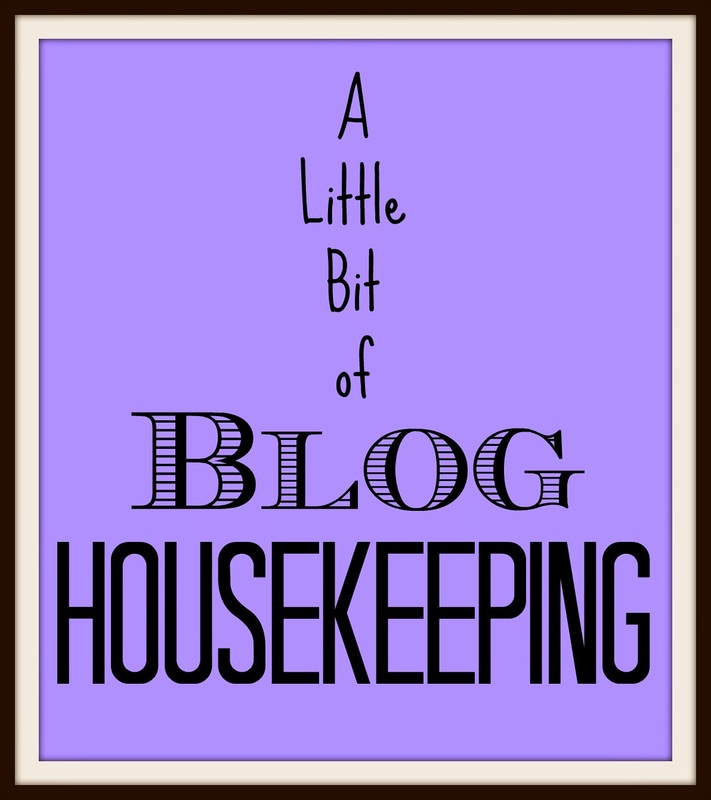 *Work on making my blog prettier and easy to navigate! I get really excited when I figure out how to do something with HTML, or when I successfully add a button or link. Lately, I haven't had time to work on it. In this break you will probably see a few changes on the blog! My plan will be to be back to consistently posting 5 days per week by the end of March. Just enough of a break to get ahead and learn some fun new things for the blog! Don't forget to follow me, so that you get notification when I do a post! See you back here tomorrow for WIAW - snow day edition! We are getting a blizzard today! I need to have a more consistent plan, too. When something has to give something has to give. Actually my goal this year was to blog less. I was starting to go under so I had to talk myself into doing less and making time for other things that needed to get done too. So far it has been great. So I hope your cutting back feels as good! Hey Sandy - I love the new look of your blog! I must have missed when you switched over, it looks fantastic! I hear ya on blogging consistently. I tried 5 days a week awhile ago, but I just can't do it...so I am sticking to three days a week with Tuesdays & Thursday being bonus days. Choosing priorities is important and I think that you've made some great choices! !